Today at Dscoop Edge 2019, HP Inc. announced the expansion of HP PrintOS Marketplace, opening an ideas store to inspire HP print service providers (PSPs) to collaborate, innovate and grow, while implementing Industry 4.0 for automated printing of thousands of jobs a day. UK-based ProCo is printing thousands of profitable jobs a day with PrintOS. 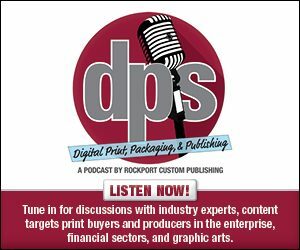 “Marketplace is going to be a game changer in how people are able to produce work in a digital print environment. Access to other print providers’ applications means I don’t have to reinvent the wheel for every project. And fundamentally, we’re going to have access to thousands of partner apps in a cost effective and quick way,” said Jon Bailey, CEO, Proco. • Locr – a GEO services batch tool to easily generate personalized maps for adding the value of location to printed communications. • MindFire – a marketing automation tool to help PSPs promote business with targeted campaigns. • OneFlow- The AutoFlow solution automates manual prepress operations including artwork fetching, checking, fixing and manipulation. • HYBRID Software- PACKZilizer is an intuitive and easy-to-use cloud-based application to prepare packaging files for production. • PrintOS Jobs API: Enables streamlining of production-status and job-costing data such as substrate usage and time invested, from an HP Indigo digital press to a management system (MIS or ERP), to understand the true cost of completed jobs for more accurate quoting. • PrintOS Composer: Helps printers save time by easily and efficiently composing variable data jobs, including HP Mosaic and Collage, of any size. • PrintOS OEE (Overall Equipment Effectiveness): Helps PSPs uncover opportunities for improving operations, reducing overtime, and saving costs, while increasing press utilization. • PrintOS Color Beat cuts color control time down to minutes per job, helps ensure color consistency across presses and sites, and track color performance from anywhere. • PrintOS Site Flow: Enables to efficiently manage hundreds and thousands of jobs per day, all the way from automated order submission to pre-press, shop-floor management and shipping integration. PrintOS Marketplace is also now launching a new Licenses Store for easy self-service download and licensing of off-the-shelf software solutions from HP solutions partners integrated with PrintOS. • HP SmartStream Designer: a powerful, easy-to-use variable data printing (VDP) tool for users of HP Indigo, HP Latex, and HP PageWide technologies. • Esko: DeskPack Essentials and ArtPro+, powerful tools that shorten pre-press of labels and packaging jobs. • Memador: A photo enhancement solution that optimizes and automates photo book creation with algorithms for face grouping, face detection and more. • Hybrid Software: PACKz, the powerful PDF editor and CloudFlow, Hybrid Software’s prepress workflow solution. • Tilia Labs: includes a bundle of Phoenix & Imposition AI workflow and imposition tools for labels and packaging, available later this year.